I have been using the Pomodoro Technique since 2011 now and it really helped me staying focused and motivated throughout the day. Additionally, I have developed an easy-to-use Microsoft Excel sheet for task tracking to use with the Pomodoro Technique. You can download it below. Personally I feel that the Pomodoro Technique works at its best for clear executable tasks and is less suitable for meetings and creative processes. I have also added my personal experience (the pros and cons) using the Pomodoro Technique below in this article. Please let me know your opinion about the Pomodoro Technique. This article is written from a web development company perspective but the Pomodoro Technique can be used for almost anything. Group similar tasks together. Document what you have done but not too detailed. Aim for a minimum of Pomodoros you want to do on one day. Try to reach this minimum consistently. Spending all your Pomodoros on one task can make your day dreadful. Try spending half of your total Pomodoros on one task and the other half on another task. After each Pomodoro take a 5-minute break. After doing a few Pomodoros (like 4-5) take a longer break (30 minutes). When working as a co-owner of an internet company it is easy to loose track of time. During the day so many distractions appear and none of them are really helping the business. What are the main tasks I should do today? How much time am I spending on a task or a project? How much time is my team spending on a task or a project? A task can be anything from writing a proposal or going live with a client website. After experimenting with a few online task management tools I decided to use the ridiculously simple method called the Pomodoro Technique. It uses intervals (called Pomodoros) of 25 minutes in which you can work on a task. It also uses a 5 minute (or more if required) break period to relax your mind. This way you prevent yourself working to long on a task and becoming less efficient. At the end of the day you count your total of Pomodoros finished. The Pomodoro Technique has many applications available (free and commercial), for Windows and Mac, that work as a timer for the 25 minutes. Most of them count the total amount of Pomodoro you have done during a day. Some good ones also count your break period. 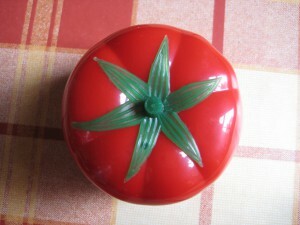 The basic principle of the Pomodoro Technique is easy to learn. You just write down which tasks you want to do during the day and your good to go. All the generated Pomodoro data can then be used for a global overview of the time one spent. When I started working during the day I made a selection of which tasks I wanted to be finished today. The Pomodoro Technique does not help prioritizing your tasks. Then I filled in the task I would be working on and selected one of the four categories. Also I would group smaller tasks together to one bigger task otherwise you spend to much time documenting your activities. At the end of the day I spent 15 Pomodoros working. I would write down the total amount of minutes worked. So a task of 5 Pomodoros is 125 minutes (5 * 25 minutes). When starting a new week, I would use Microsoft Excel to generate some overall statistics to get an impression on what is done by me and others. The Pomodoro Technique does not tell you how many Pomodoros you should finish within one day. I tried to do 15 Pomodoros a day but less might be better depending on the type of tasks. Also you can have a bad day as well. I could only find the following overview below mentioned here. How many Pomodoros a day? + The Pomodoro Technique is very easy to learn. + When the timer starts ticking you are focused right away. + There are many tools (free or commercials) which you can use. + The Pomodoro Technique is easy to extend to give you a detailed overview of your time spent (and that of your team). 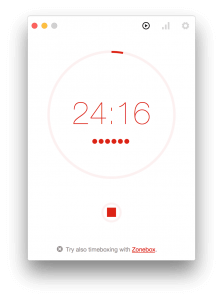 – Some tasks are hard to implement within the Pomodoro Technique like meetings (all your team-members having to start the pomodoro at the same time ). – There is no ‘standard’ that tells how many Pomodoro you need to finish within one day. – While the Pomodoro Technique helps you staying focused on one task it gives almost no room for ‘required’ interruptions like a client calling for help. – The Pomorodo Technique seems more suitable when a task has a clear deliverable and is less suitable for creative processes. It can surely help. The Pomodoro Technique together with my Microsoft Excelsheet has definitely helped me being more effective. It is easy to implement and statistics are easily to generate. The basic idea behind the Pomodoro Technique is working in short bursts and this is really appealing. Concepts like this are used everywhere within software development (for example SCRUM). I do not think the Pomodoro Technique is suitable for all types of tasks and not even suitable for every person. Some professions just do not like timers. It is a good way to deliver work but can also make you a little bit inflexible. Also during tight deadlines, you might just want to continue forever. Please be aware that the Microsoft Excel sheet uses macros to automatically fill in your username (only on Windows) and start date and time. As you rightly point out, some professions/activities are not so amenable to ‘pomodorizing’. I have often tried pomodoro for such activities, though. On some days it works, on others, the cycle breaks. What I’m gonna try in the future (and will re-post here if it works out well) is to schedule activities in a non-pomodoro manner, but then go on and work in 25 minute bursts with 5 min intervals…sort of trying to fool the brain!